As their sales slow, some casket makers worry their business is hitting a dead end. 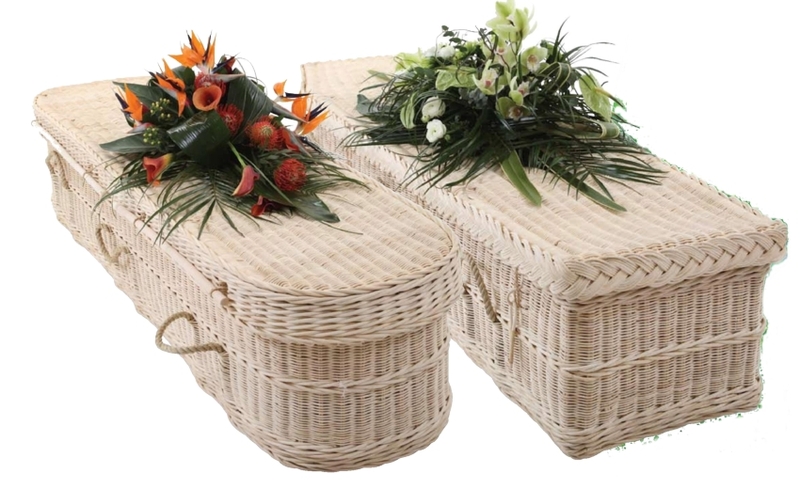 Sales of caskets have been declining for years as more people choose cremation. But the economic slump is compounding the industry's woes as those who do pick caskets buy cheaper, more spartan accommodations for the hereafter. 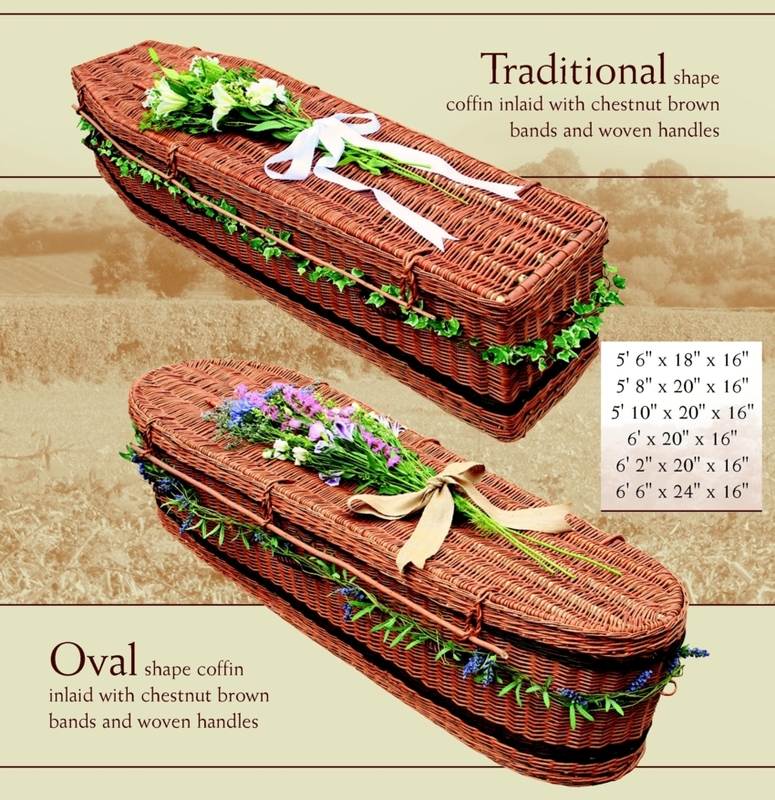 In response, casket makers are diversifying, building less expensive models and expanding cremation offerings. The country's biggest casket maker, Hillenbrand Inc., parent of Batesville Casket, is going outside the funeral business altogether. Earlier this year it said it would spend $435 million to buy K-Tron International Inc., which makes factory equipment. "she says the fastest way to dispose of your body is not to bury it at all, although for obvious reasons she is not recommending this. Next best is a shallow grave, 20 to 24 inches (a little more than 50 centimeters) deep, since this is where many of the organisms that will be eating you are living. The rest you are already carrying around with you in your gut." "[a natural burial is] what Paul Magalhaes Sr. wanted, so last October, when the 78-year-old North Bergen man was considering personal burial plans, he settled on a new "eco option" at Maryrest Cemetery in Mahwah. After his death last month, Magalhaes was interred in Maryrest — the first person to be "ecologically buried" in one of the country’s first Catholic cemeteries with an environmentally sensitive section.'" Diamant's story was stimulated when the Maryrest Cemetery in Mahwah, New Jersey, escalated its plans for a natural burial site in its existing cemetery. Until Mr. Magalhaes' passing, the plans were on the drawing board, but funeral director Bob Prout knew of the family's wishes and encouraged Maryrest's director Andrew Schafer to step up the pace. "Going Green in the Afterlife"
You can now go green even in the afterlife. 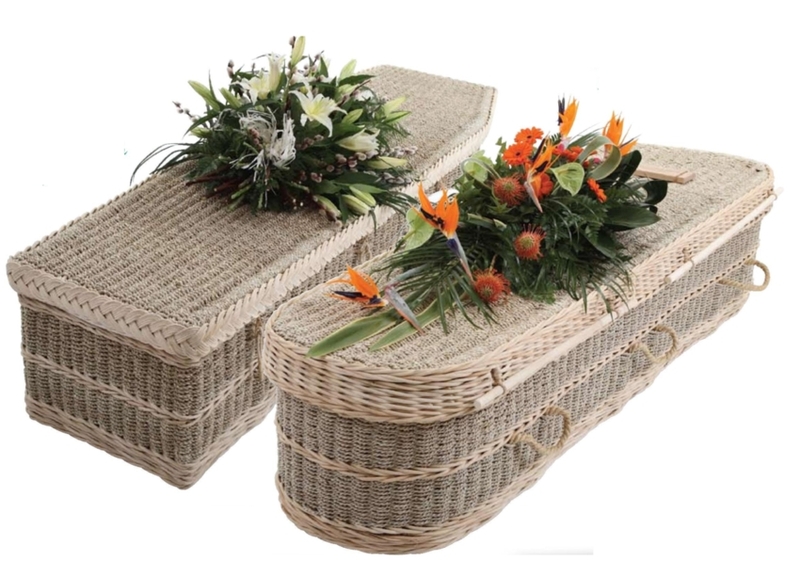 Funeral homes are offering more options to those who want to return to nature more naturally.Going green, even in death, can be a reality. 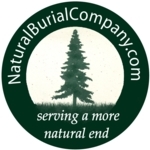 Bo Koltnow reports that Elias' funeral home, one of the first in the US to offer natural funerals, is doing well. 5% of his business is "green" and the percentage is rising. 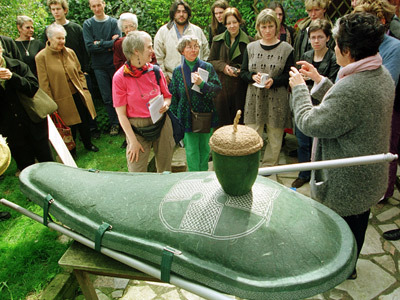 Elias' is one of the charter signers of the Natural End Pledge, and was one of the first funeral homes in the country to stock Natural Burial Company coffins. At the October 26th meeting of the Minnesota Threshold Network, we spent most of our time strategizing on how to improve Minnesota state laws governing home funerals. Our major concern is that Minnesota is the only state in the nation that requires embalming for public viewing [149A.91 Subd. 3]. This means that families cannot legally hold a vigil for a deceased loved one (without embalming) in their own home with anyone other than immediate family members present. There is no scientific basis for such a requirement, and this statue should be removed to give families more choices at the end of life. About 2 years ago, I was reading various environmental articles about such things as carbon foot print, energy alternatives, rain gardens and a plethora of other such topics. All of these articles spoke to new trends and things that one could do to be friendlier to mother earth. I also saw writings that dealt with the move to “green” burials in England, and what was happening there since the 1990’s. I found it very intriguing that the new” trend was really talking about something very old, and a practice that is widely followed in many parts of the world today. STATE HOUSE – Overriding the governor’s veto, the General Assembly today approved legislation sponsored by Sen. Rhoda E. Perry and Rep. David A. Segal to provide domestic partners with the right to make funeral arrangements for their partners. January 29, 2010 (CHICAGO) (WLS) -- Executives of the Burr Oak Cemetery believed more than six years ago that bodies had been improperly buried. And the details of what they knew are in a confidential five-page memo obtained by the ABC7 I-Team. The public didn't learn about what was happening at the historic black cemetery in southwest suburban Alsip until last May when a groundskeeper found some skeletons where they shouldn't have been. An investigation then determined that hundreds of corpses had been dug up and moved - many dumped - in an elaborate scheme to re-sell burial plots. Four Burr Oak employees have been charged with felonies. A five-page memo, marked confidential and obtained by the I-Team, reveals that Burr Oak's chief executive, Slivy Cotton, feared in 2003 that there was a grave selling plot underway.